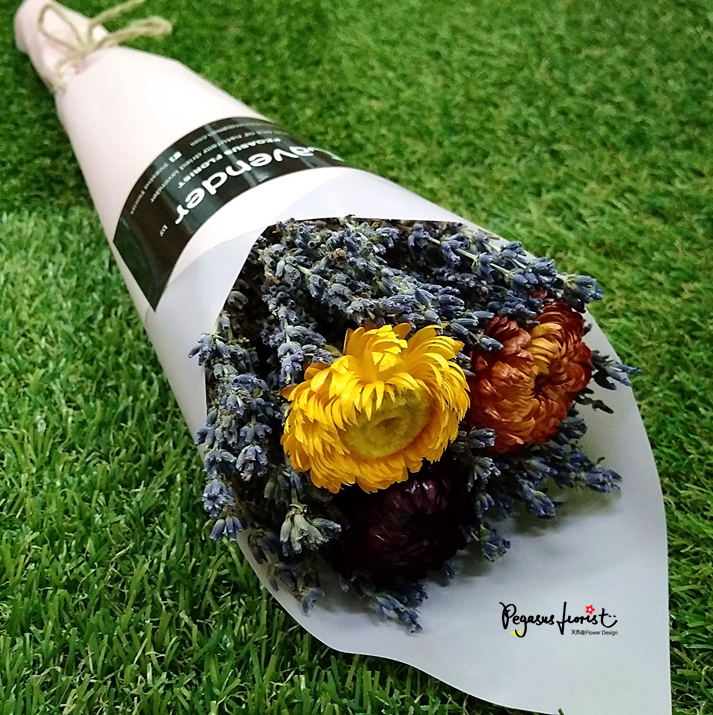 Lavender Bunch - GE (Pink) – Pegasus Florist - Naturally Dried Lavender in Malaysia! There are 100pcs of naturally dried lavender & 3pcs of dried Golden Everlasting in each bunch. These are natural flowers. So, the length of each stem may vary. 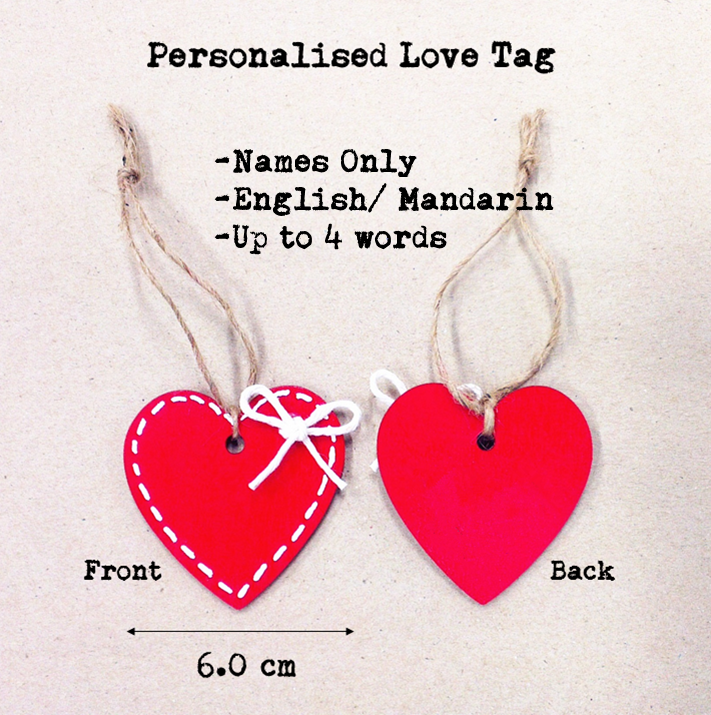 Generally, they range from 20cm+ to 40cm+. You may find a mixture of young and mature lavender in the bunch as their growth rate are not the same. 1. There are drop of lavender buds when I unpack my bunch. Is it normal? 2. I found that the length of each lavender stem is different. Is it possible to get a bunch with equal length? 3. Why the length of my lavender flower is not the same? Some are long and some are short. Mature lavender has long flowers (a.k.a. spike) while young lavender has shorter spike. You may find a mixture of mature & young lavender in the bunch as their growth rate are not the same. 4. I can’t smell my lavender scent after a while. Why? Please bear in mind that our lavender bunch is naturally dried & no artificial fragrance/ colour added. The scent is purely natural and mild, unlike the intense artificial fragrance that may cause discomfort such as dizziness & nausea to certain user. So, you may not smell them all the time. 5. What should I do when the lavender scent fades away? 6. Why my fingers feel slightly oily when pinching the lavender buds? 7. Why the colour of my lavender bunch seem to fade away quickly? 8. 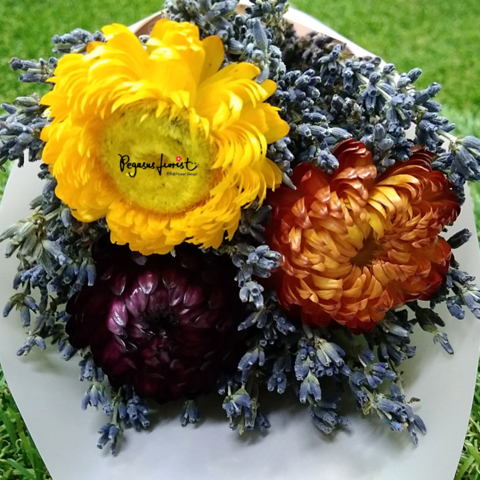 Do Golden Everlasting have scent? 9. What else should I pay attention to? Never wet your lavender & Golden Everlasting. It is advisable to put them in a dry & ventilated place. 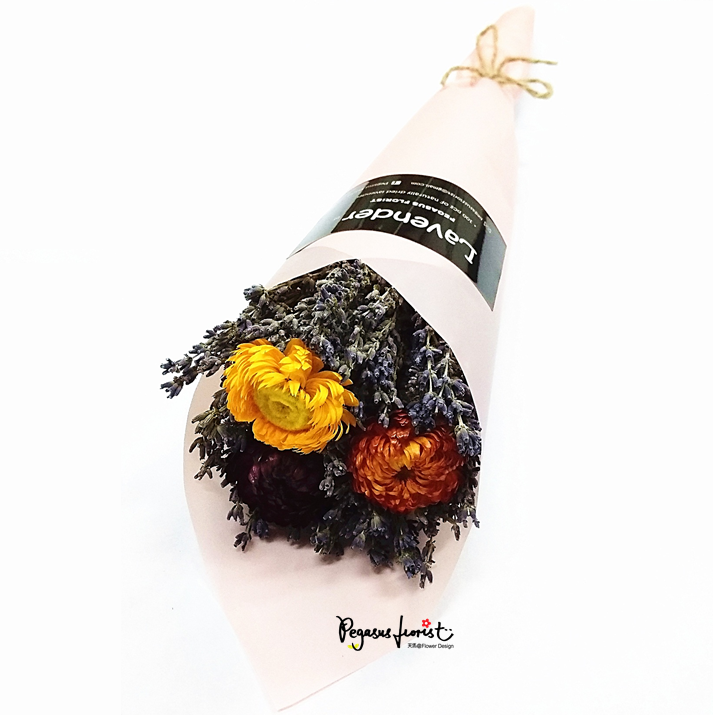 Please bear in mind that our dried flowers do not undergo chemical treatment to ensure no chemical residues remain. So, please avoid humid area as bugs and mold love a humid home. If you notice any, it's time for you to expose them to sunlight for a while, so that they stay dry all the time. Also, gently pat them once a while to remove any trapped dirt & dust. 10. May I know about the shipping & payment method?